One of the major issues is that marijuana is still listed as a Schedule One Controlled Substance on the U.S. Controlled Substances Act of 1970 (USCSA). A Schedule One controlled substance, under federal drug laws, is one that has a high potential for abuse, is dangerous to users and the general public, and there are no accepted medical uses. This was done for political reasons and while there is no sense in saying that marijuana is more dangerous or potentially addictive than Oxycontin, congress has been unwilling to remove or reschedule marijuana, and it is unclear whether that will happen in the near or even distant future. As our Los Angeles medical cannabis attorneys can explain, one reason this has become so complicated is because it is hard to argue that there are peer-reviewed clinical trials supporting the use of marijuana and cannabis products as actual medicine when the federal government made it illegal, or at the very least, difficult to conduct studies. This is a sort of catch-22 that has allowed medical marijuana to continue to listed as a Schedule One controlled substance. 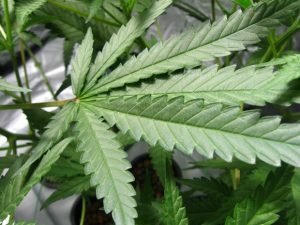 According to a news article from Trib Live, the University of Pittsburgh has researchers that wish to participate in clinical trials for medical marijuana. Through a relaxation in federal enforcement, the state issues eight licenses to conduct medical marijuana studies. The university is hoping to lead the state and the nation in medical marijuana clinical trials by using one of these permits. The goal of this research is to identify illnesses that respond well to medical cannabis treatment options, in a hope that with positive results, there would be evidence that could be used to remove medical marijuana for the the highest level of the federal controlled substances act. One issue that may come up is whether the U.S. Food and Drug Administration will have oversight into medical marijuana industry. Currently in states where medical marijuana is legal, there is no real oversight into how the drugs are dosed and whether the treatment is actually working. While there is no question that many patients clearly benefit from medical marijuana, there is no report of side effects and efficacy as we have drugs manufactured by the pharmaceutical industry. This can lead to results that are both positive and negative for the medical marijuana industry, but these questions may need to be addressed in the near future should marijuana be removed from Schedule One of of the USCSA.